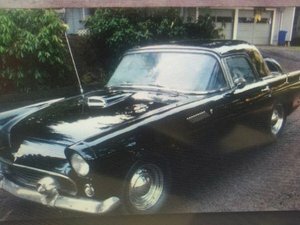 The fourth generations Thunderbirds were very popular and Ford sold 64,127 hardtop Landau units with a starting price tag of $4,552.00. 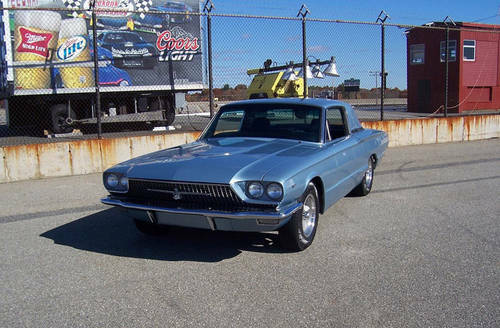 Even though it was the last year of the generation 1966 saw a stylistic version for the Thunderbird highlighted by a new egg-crate style grille with large Thunderbird emblem at its center and a new rear fascia with the brake lights restyled to appear as one unit. 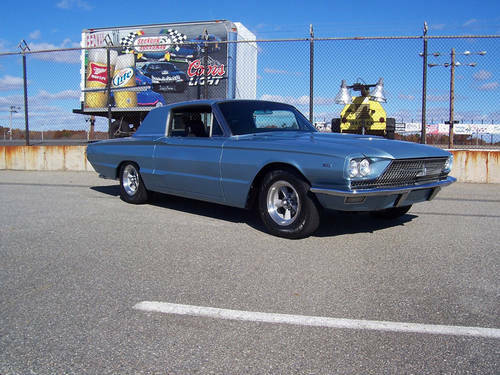 Body: 63 D = 2 door Landau Special Q code (428 engine 4V ) Color: Q = Brittany Blue Trim: 22 = Blue Date: 213= 21st day of March DSO: 16 = Philadelphia Axle: 3:00 ( equa lock ) Trans 4: 3-speed Dual Range Automatic. 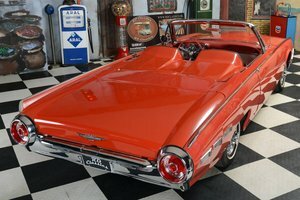 This car was a full restoration that took years to complete – it was truly a labor of love. Every nut and bolt has been turned and replaced on this car in order to make a reliable and every day custom driver. 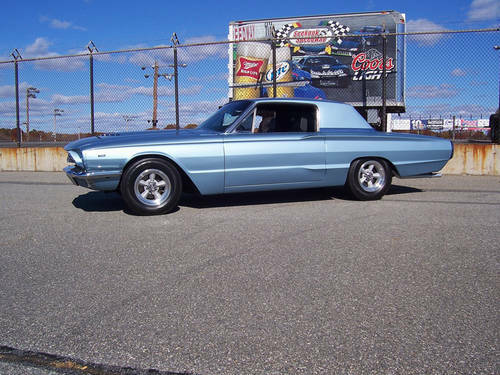 It’s a great mixture of factory, Pro touring, Pro Street and resto-mod. - 9.6:1 speed Pro Forged Pistons .030 over. – Comp Cams 270H Hydraulic flat Tappet Cam. – Edelbrock Timing Chain Set. – Ford “R” code heads, 74CC, upgrade to 2.10 intake, 1.60 exhaust. – Dove roller tip rockers, shafts, stands and pushrods. – Blue Thunder Cobra Jet Aluminum intake. – Holley 4160 750 CFM vacuum secondary. – Mallory fuel pump and regulator. – Marshall fuel pressure gauge. – Edelbrock aluminum water pump. – High torque mini starter. – MSD 6Al ignition system with Spiral Core Super Core wires. – Ford Powertrain headers, 2 ½ in mandrel bent exhaust pipes and Magnaflow mufflers. The block is cooled by a Griffin Aluminium radiator that was custom mounted with an electric fan. It runs very cool in any weather conditions – not that the UK would be too warm for it anyway! The engine is coupled with a newly rebuilt Ford C-6 transmission with shift kit. It shifts excellent in both the city and on the highway. 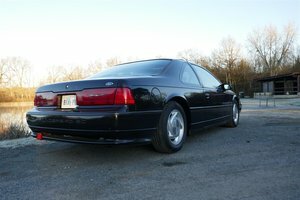 The power is transferred through the Ford 9” rear end with 3:00 POSI traction. It has a B&M hole shot 2400 torque converter. It has power steering that works great. It stops quickly with the power braking system. The system consists of a chrome booster and master cylinder and front disc Chevy conversation on 64 Ford spindles. During the restoration some of the sheet metal were replaced such as the front floor section and rear quarters. Also, the vinyl top the door handles, trunk buttons and wipers were shaved or removed on favour of the smooth look. The body is very nice and perfectly straight and has excellent gaps. The trunk, doors and deck lid open and close great with a nice ‘click‘ noise. 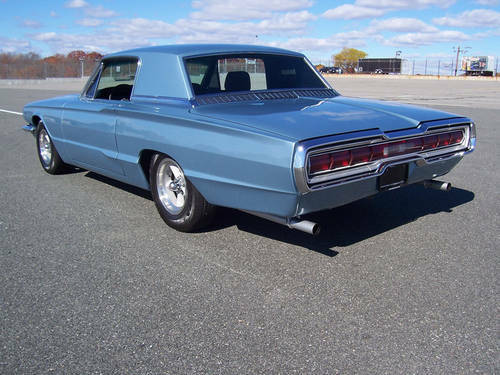 It was finished in its original Brittany Blue color which is PPG base coat/clear coat finish. 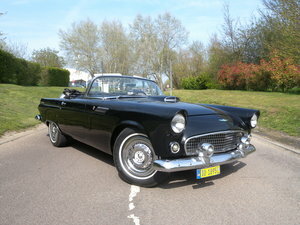 The paint on this car is in very nice condition and shines beautifully, to be considered show quality paintwork. Original 'Ford 428 emblems' were added on the front fenders which makes a statement and finish this 6.7L beast perfectly. The exterior stainless trim and bumpers are in very nice condition and compliment the rest of the coachwork. It’s been wrapped in new American Racing Torque Thrust original style wheels that are 15×7 with Goodyear P215/75/15 tires. This wheel and tire combination not only looks great but it provides the car with a very smooth ride. The tires don’t rub at all which says a lot compared to other classic cars with aftermarket wheels and tires. The Blue exterior is complimented with a brand new custom black leather interior with many upgrades. The interior is very spacious and comfortable, with everything having been restored or replaced. 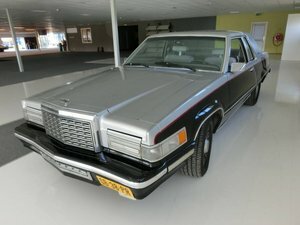 Some of the upgrades include painless wiring and fuse box, custom dash with custom Autometer gauges and switches including a PUSH TO START race car button. The console was deleted for the B&M Bandit floor shifter which works great. The Corbeau 'bucket' seats are extremely comfortable and have been trimmed with a brand new black leather, which skins the foam perfectly. 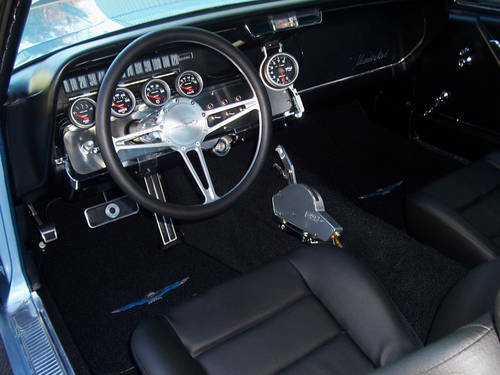 As a detail, a Budnik steering wheel and custom 'Thunderbird' carpeted floor mats were added. 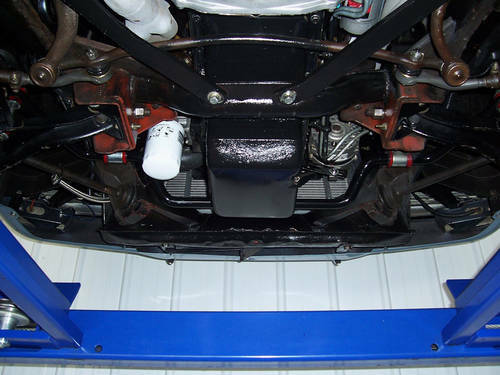 The rear trunk is very clean, being restored and painted high gloss black. It’s home to the stainless fuel cell and Optima battery with aluminium case.